The movie is all set to hit the screens on January 25. 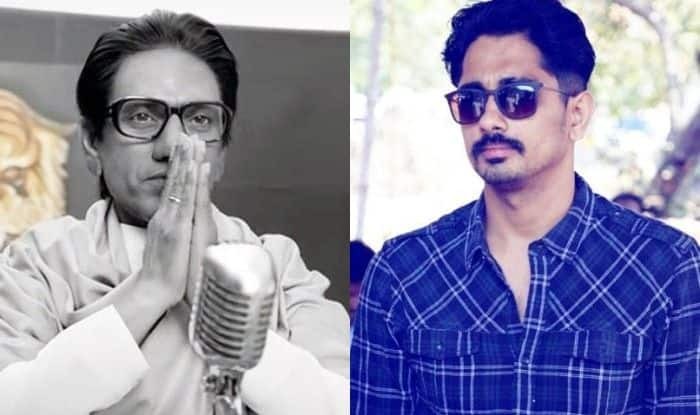 The trailer of Nawazuddin Siddiqui starrer Thackeray released recently and the actor received praises for essaying the role of late Shiv Sena leader Balasaheb Thackeray with perfection. But, the makers are also receiving criticism for spewing hate against South Indians. Tamil actor Siddharth expressed his displeasure in a series of tweets and called out the hate speech in the film. He urged makers not to sell hate and make money out of it. The actor also pointed out that the objectionable dialogue was shown in the Marathi trailer and not in the Hindi version. Reports were doing the rounds that the censor board has objected to certain scenes in the film. However, senior party leader and the film’s producer Sanjay Raut on Wednesday said nobody can ban the film. Directed by Abhijit Panse, the film is all set to hit the screens on January 25. It also features actress Amrita Rao in a crucial role.